The Matagorda County Clerk is responsible for vital records (birth, death, and marriage), housed at the Courthouse in Bay City. Records were collected starting in the early 1900s. The District Clerk handles divorce records in the same building. Paleo-Indians occupied the area as early as 10,000-6,000 B.C. It was explored by Spaniards in the early 1500s, but settlement by European-Americans did not begin until the early 1800s. 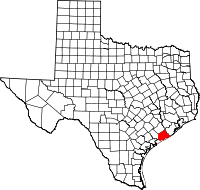 A part of Stephen F. Austin's Colony, Matagorda County was one of the original Texas twenty-three counties formed on March 17, 1836, by the Republic of Texas. Matagorda was chosen as the county seat.